Next Level of Couch to 5k. Couch to 5k and then to 10k. “First say to yourself what you would be; and then do what you have to do”. This must be the slogan that you need to follow in your life, physical exercise is any bodily activity that enhances or maintains physical fitness and overall health and wellness, performed for various reasons as per your desire and need. These include strengthening muscles and the cardiovascular system, honing athletic skills, weight loss or maintenance and for enjoyment. Frequent and regular physical exercise boosts the immune system, and helps prevent the "diseases of affluence" such as heart disease, cardiovascular disease, Type 2 diabetes and obesity. If you're not seeing any reasonable results or you are burned out on exercise, it may be time for a break up. Giving you permission to try something new can be rejuvenating and rekindle your exercise love or maybe you do not like gyms and you prefer to workout either outside or at home. Even if you are a gym member sometimes you can get caught out whilst working away or on vacation. 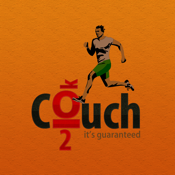 Couch to 10K is just a click away. •Provides instruction with Elapsed time, jog/run time. •Tweet the page after one week completion. •After tweeting you can automatically come again to the home page. •Provide music libraries with workout. •You can repeatedly play different and your favorite songs from it. •You can view or edit this session record as well. •You can share these views and suggestions to all your friends and family members.